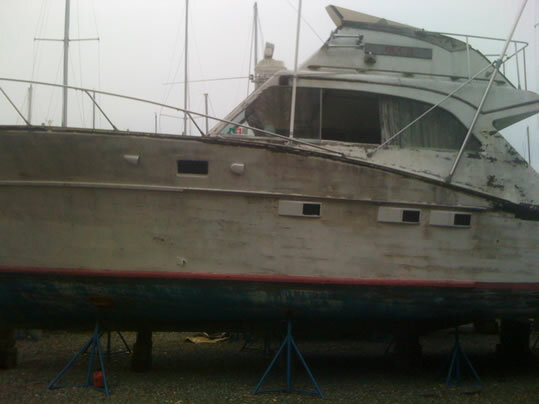 1972 40' Post Sportfish with a large aft deck, bow pulpit and rails, outriggers and dual stations with flybridge. 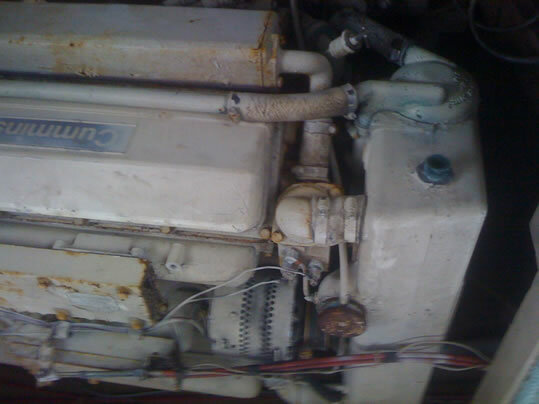 Twin diesel Cummins V6 engines and Onan diesel generator. 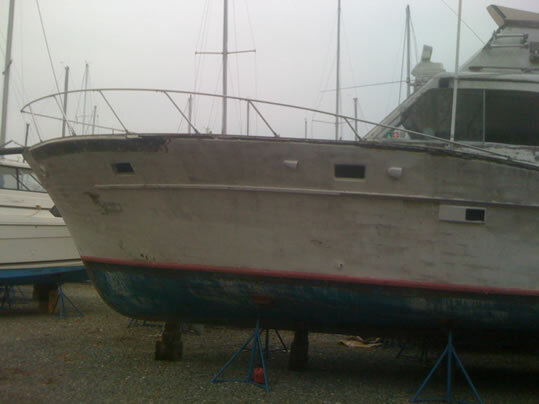 Her design with flat after sections and flared bow result in a relatively dry boat with good lift and speed. Sleeps 6 in two staterooms and salon sofabed. 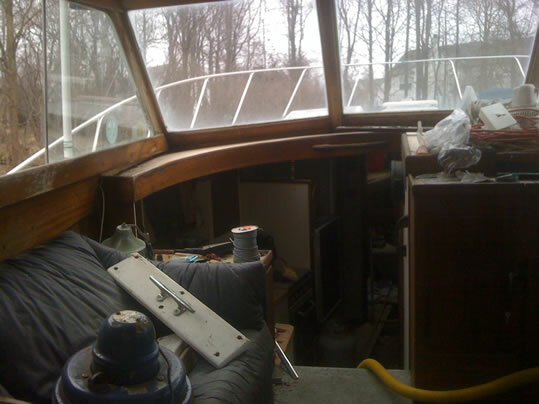 Roomy salon with wheelhouse and nice interior woodwork including drawers and cabinets. Plenty of storage. Large windows with good view for piloting. Most forward is chain locker followed by master stateroom with over/under bunks to starboard, hanging locker and 4 storage drawers to port. Aft to starboard is head with shower and sink, port guest stateroom with over/under bunks. L shaped galley with refrigerator, stove and oven and counter/work station. 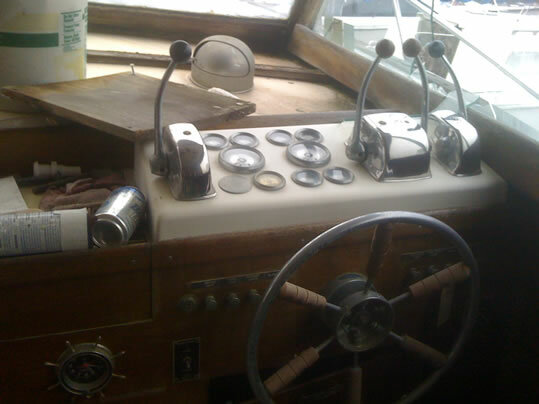 4 steps up to salon starboard wheelhouse with controls, compass and chart table with cabinets and port sleeper sofa with end table cabinet. 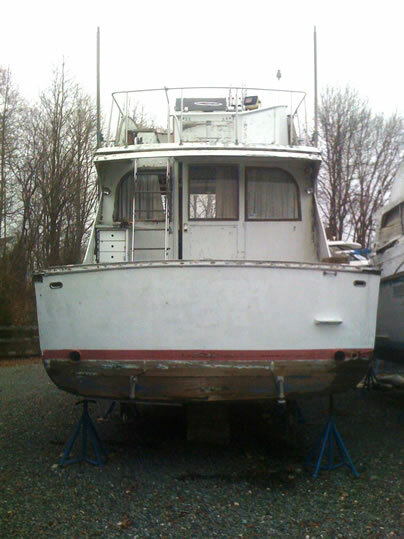 Up aluminum and teak ladder to helm on flybridge.